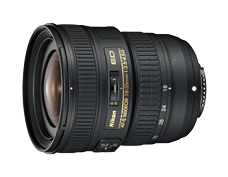 January 29, 2013 /Photography News/ Nikon has just launched two new lenses, the AF-S NIKKOR 800mm f/5.6E FL ED VR prime lens, and the AF-S NIKKOR 18-35mm f/3.5-4.5G ED, an ultra wide-angle zoom lens compatible with the FX format and offering approximately 1.9x magnification. The AF-S NIKKOR 800mm f/5.6E FL ED VR offers the longest focal length of 800 mm in the history of NIKKOR autofocus (AF) lenses, as well as a maximum aperture of f/5.6. The 1.25x AF-S TELECONVERTER TC800-1.25E ED is supplied with the AF-S NIKKOR 800mm f/5.6E FL ED VR. 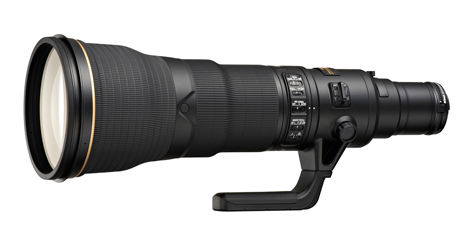 An FX-format compatible AF-S NIKKOR 800mm f/5.6E FL ED VR with the longest focal length in the history of NIKKOR autofocus lenses. Constructed of two fluorite lens elements. The lens is equipped with two fluorite lens elements used in IC steppers and scanners that require extreme precision. The superior transmissivity from the infrared to ultra-violet range demonstrates superior chromatic aberration compensation throughout the visible range. Equipped with two ED lens elements for sharp rendering and superior optical performance. Nano Crystal Coat effectively prevents the internal reflections that cause ghost and flare. When the teleconverter is used with this super-telephoto lens, the electromagnetic aperture built into the lens enables stable exposure control with high-speed continuous shooting. Equipped with a vibration reduction (VR) mechanism offering performance equal to an increase in shutter speed of approximately 4.0 steps*. A lightweight yet durable super-telephoto lens with the adoption of fluorite lens elements, which helps to reduce the weight of the lens significantly, and a magnesium alloy, which ensures strength and durability. Designed exclusively for use with the AF-S NIKKOR 800mm f/5.6E FL ED VR. This teleconverter has been designed to produce images exhibiting the same rendering performance as the primary lens. When used with the AF-S NIKKOR 800mm f/5.6E FL ED VR, focal length is increased by 1.25x for a focal length of 1000 mm (combined maximum aperture of f/7.1). The first teleconverter equipped with an ED lens element. *Measured according to CIPA standards.